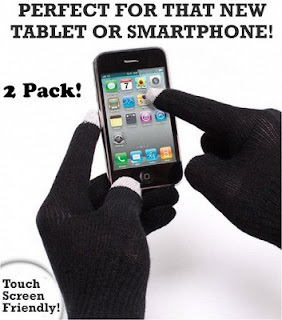 2 Pairs of Touchscreen Gloves only $4.99 w/ FREE Shipping! Head over to That Daily Deal to score 2 pairs of touchscreen gloves for only $4.99! This deal includes free shipping too. These gloves allow you to use your smartphone or tablet while keeping your hands warm!